Matt Wood has a dilemma: after comparing the Western Star 4864 FXB with the Iveco Powerstar ISX he has to decide which one he prefers. Iveco’s Powerstar has been called many things since its inception, many of them to do with it being a bit ‘funny looking'. 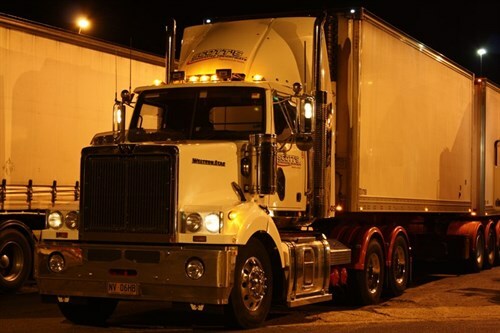 When you ask a driver to nominate their favourite truck, invariably, the top of the list will include a bonneted or conventional prime mover of some description. The reasons for this are many and varied but comfort, on-road handling, and, as much as we like to think it doesn't matter, looks and styling tend to feature highly. While conventional prime movers have been common enough in B-double roles - where weight wins out over cubic capacity, for example tankers and tippers - bonneted prime movers pulling 26m, 32 and 34 pallet combinations are becoming more commonplace on our highways. A high rate of driver acceptance seems to be behind the trend but, interestingly, in an environment where high productivity vehicles are becoming all the rage, some owners are even willing to forgo a couple of pallet spaces to allow them to run conventional prime movers in front of 26m B-double combinations. While in some cases this can lead to a compromise in manoeuvrability and visibility, many are prepared to accept the trade-off. Also, these days, from an owner's perspective, many bonneted models do a better job of evacuating hot air from the engine compartment than their cabover counterparts. This is a big plus for trucks powered by exhaust gas recirculation (EGR) engines that are already dealing with the raised operating temperatures of EGR. I recently had the chance to drive two very different day-cab prime movers in B-double guise, namely the Iveco Powerstar ISX and the Western Star 4864 FXB, both powered by Cummins's 15-litre ISX EGR power plant. Iveco's Powerstar has been called many things since its inception, many of them to do with it being a bit 'funny looking'. However, the Aussie-designed and built Powerstar has quietly paid its dues in transport fleets large and small. The return of an American driveline option, the Cummins ISX, has only increased its importance in the model line-up, especially following the recent departure of the International badge from the Iveco fold. Initially, the red engine was only available with an AS-tronic auto but more recently the manual Eaton Fuller transmission has arrived on the scene. I had the chance to take the Powerstar ISX for a spin from Sydney to Melbourne and back, with a single trailer and as a 26m B-double. 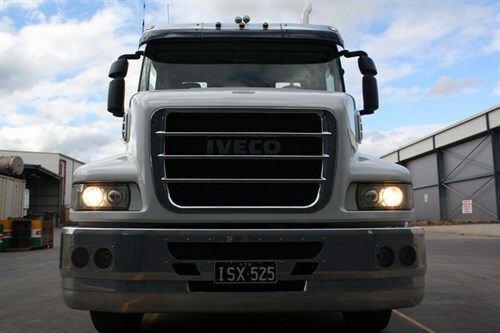 The prime mover I drove was fitted with a 15-litre Cummins ISX, and rounding out the all-American driveline is a manual Eaton Fuller 18-speed transmission with a 4.33 Meritor rear end. 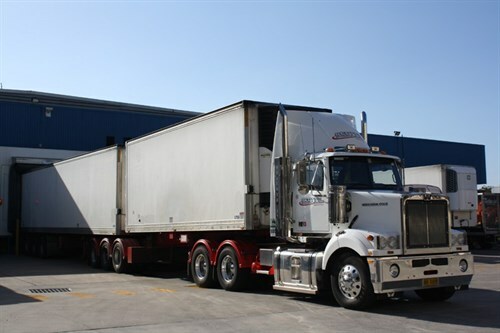 This unit was a demonstrator being put through its paces with Scott's Refrigerated Freightways. Cab entry wasn't a great deal different to climbing into a cabover, a combination of the full-width cab, narrow door access and the square fuel tanks on this unit contributed to making entry a bit awkward. Once inside, the overall finish seemed durable, with all controls well placed, gauges and LCD read-out easy to read. The mirror clusters of the Powerstar are nothing short of fantastic, with the mirrors set forward and low enough to be out of the way when looking out either side window. The spotter mirrors are set into the top of the mirror housing and are electronically adjustable. It was pleasing to see a manufacturer remembering that a driver will probably drink coffee, bring a water bottle or thermos and want to hang their jacket somewhere. Surprisingly, for a day cab, the Powerstar had a cup holder, nook and cranny for every occasion. 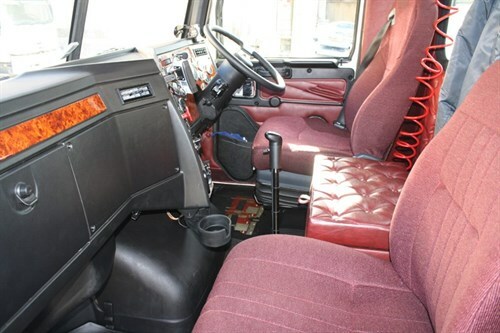 One of the big plusses of a bonneted prime mover is the ease of the gear shift. With the gear stick going directly into the top of the transmission, there are no linkages or cables to bind up or stretch, making the truck an easy drive. Funnily enough, the EGR ISX has a bit of a European feel, with its quiet operation and none of the characteristic rattle and chatter of the pre-EGR units. It certainly didn't seem out of place in front of the Euro cab of the Iveco. With a modest single trailer load, the ISX raised barely a sweat heading out of town and required only a couple of downshifts to keep the wheels rolling out past Mittagong and on to the Southern Highlands. With darkness falling, I flicked on the headlights. The Powerstar is well-equipped in this regard, with driving lights as well as high-density fog lights. One annoyance was the way the dash lights reflected on to the driver's window, every time I glanced in the low-mounted driver's mirror, I found myself having to look through the reflected dash lights to see out the mirror, distorting my view. While the Powerstar doesn't appear overly aerodynamic, it was remarkably quiet on the road and punched through the atmosphere with barely a whistle or whine. The set-back steer axle made the prime mover surprisingly manoeuvrable and visibility, especially the left-hand front corner, was excellent. The angle of the sloping bonnet meant there was little by way of a blind spot. On the return trip to Sydney, pulling a B-double, I tipped the scales at 52 tonnes gross, meaning the ISX Cummins would have to work a little bit harder after the previous night's trip. Down the road, the cooling capabilities of the Powerstar became immediately apparent, with engine fan run times effectively halved. With plenty of air flow around the engine and a huge air space between the chassis and the cab floor, the Iveco dispersed hot air easily, keeping the coolant temp gauge at 80-85C. When the engine fan did engage at 100C on long grades, it only took 10-15 seconds to bring the temperature back down to 85C. Also helping the Cummins keep its cool is a 1,678 square-inch (4,262sqcm) radiator. While the truck I drove was a day cab with the exhaust stack and diesel particulate filter mounted on the back of the cab, the 4,650mm wheelbase Powerstar can be specced with an integrated sleeper and remain 26m compliant in front of a 34-pallet double combination. To achieve this, the diesel particulate filter (DPF) is mounted horizontally, before emerging as twin stacks behind the cab. 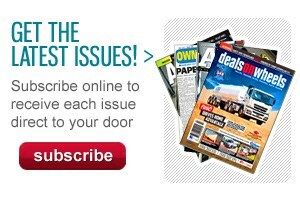 One of the biggest selling points of the Powerstar, however, is driver comfort. The prime mover rode beautifully, without any buck or kick in the ride either as a single or as a B-double. At the end of both trips I was walking upright when I hopped out of the truck. On the road, it was stable, quiet and predictable to drive. On the down side the engine brake controls took a bit of getting used to, with a dash-mounted switch used to activate the brake, but a European style retarder lever on the steering column used to engage it. I suspect this would be a bit counter-intuitive for those used to an American-style prime mover. However, the Powerstar ISX proved itself to be an easy to live with, driver friendly vehicle that, to date, has been under-valued by the Australian market. Currently the second biggest selling heavy-duty prime mover in this country, Western Star has, over the last decade or so, carved out an enviable place for itself in the Australian market place. 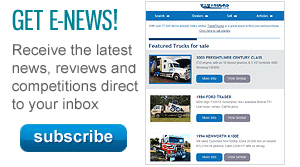 The 'Star' is commonly regarded, along with market leader Kenworth, as a "trucker's truck". There's something kind of unapologetic about the Western Star range, all flat-fronted radiator grilles and sharp angles. With headlights on the guards, air cleaner cans and snorkels hanging off the sides of the bonnet, models like the 4864 yell "old school and proud of it". 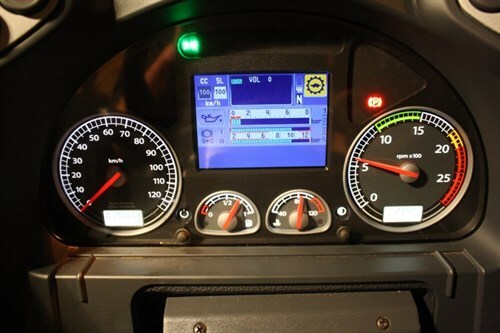 I recently managed to talk my way into the driver's seat of a new day cab Western Star 4864FXB for a drive, and a chance to see what all the fuss is about. 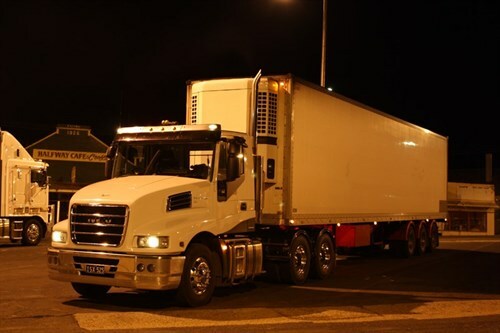 I picked up the truck, also belonging to Scott's Refrigerated Freightways, in the middle of the night at the popular changeover town of Tarcutta. This particular vehicle was also equipped with a Cummins ISX and backed by a suitably old fashioned 18-speed stick shift. With a B-double behind me grossing 62.4 tonnes, the 40,000km-old drive train was certainly in for a workout. Jumping into the 'Star' was easily done, with the wide driver's doorway and the slightly under-width cab making entry and exit relatively easy. Once inside, I was confronted with a very 'busy' dashboard with the usual complement of dials and switches, though I found I had to search for the switches and buttons I needed. This may have proved amusing for anyone following me as different interior lights flicked on and off randomly in the darkness. 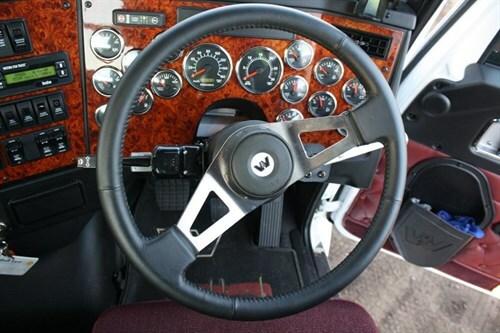 The timeless trucker theme carries on through the interior with walnut look dash panels and vinyl truck-cab trim. Either side of the cab, simple aluminium bracket-mounted west coast mirrors give an adequate view down both sides of the truck, though this view quickly turned fuzzy when reversing at idle. After the politically correct Iveco though, the 4864 seemed all engine and exhaust noise, but I had much more of a sense of driving the vehicle rather than riding in it. 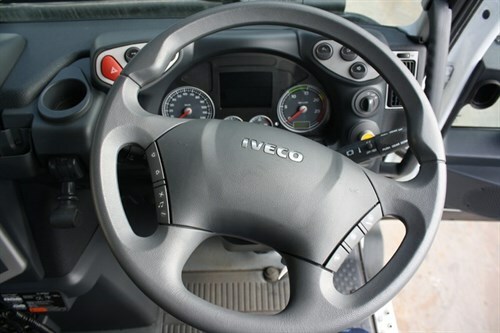 The gear shift for the 18-speed Eaton box was excellent, with the gear stick set at just the right height and distance from the comfy ISRI driver's seat. The short snout of the FXB means that the firewall between the engine compartment and driver's compartment intrudes into the cab, to make room for the engine. While the cab was well insulated, the proximity of the engine to the firewall meant that there was a fair degree of heat radiating into the cab, though the air-conditioner kept things nice inside. The ISX dragged the double without fuss and the close proximity of the driveline meant that I could feel and hear exactly what was going on. From the outset, I thought the Western Star might struggle to keep the 15-litre Cummins cool, expecting a roaring Horton fan to be pounding my eardrums all night. Fortunately, I was to be proved wrong, with the 1,570 square-inch (3,988 sqcm) radiator managing to keep the coolant temp at around 80-85C, making it comparable to the Powerstar. The main notable difference was slightly longer Horton fan run times with the FXB, but only a matter of 5-10 seconds depending on the length of the climb and the ambient temperature. Backing the double set on to the receiving docks in Sydney, I found the FXB to be surprisingly agile and easy to manoeuvre, though there is a Kia Rio-sized blind spot on the left-hand front due to the height and width of the square bonnet. This, combined with the wide A-pillars and the width of the windscreen divider, conspire to keep you craning your neck in an effort to see what's going on in tight situations. I do, however, have to applaud the inclusion of a wide-angle blind spot window in the driver's door which gives a good view of what's hiding beside the passenger door. After spending a couple of nights on the road with both prime movers, it became a bit of a 'head versus heart' decision between the two. The Powerstar was quieter and more comfortable than the Western Star and its bigger radiator and engine compartment did a better job of keeping the 15-litre ISX cool. But, the 4864 FXB was a more enjoyable beast to steer and there was more of a sense of driver involvement in the vehicle. If you pulled up at a road house in the middle of the night for a coffee in the Powerstar, you would stroll away from the truck, whistling with a spring in your step. If you pulled up at the same road house in the Western Star you may walk away from it hobbling slightly, but you'll be smiling, and chances are you'll turn around and look back at it at least once.